Lose the Blanket, Linus! ; Snoopy and Woodstock's Great Adventure; Snoopy for President! ; Snoopy Takes Off! ; Go Fly a Kite, Charlie Brown! ; Kick the Football, Charlie Brown! 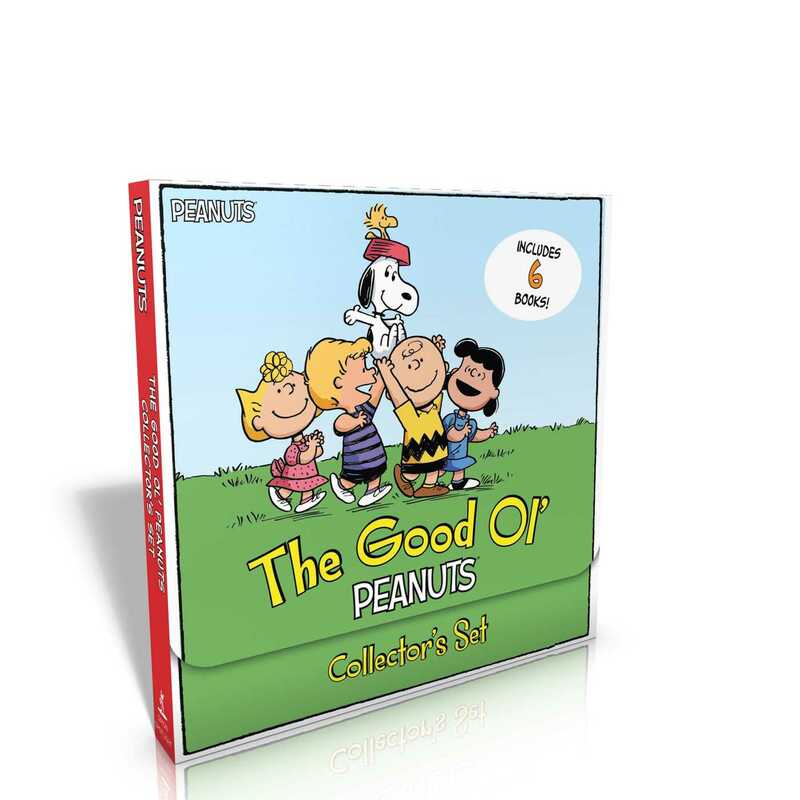 Get to know the whole Peanuts gang with this sweet carry-along boxed set that features six adorable 8x8 storybooks! Here comes good ol’ Charlie Brown! And his dog Snoopy…and his best friend Linus…and his sister Sally…and his friend Peppermint Patty…and so many more! Take the good ol’ Peanuts gang on the go with six of their favorite adventures in this carry-along boxed set with a handle! This boxed set includes Snoopy Takes Off! ; Go Fly a Kite, Charlie Brown! ; Lose the Blanket, Linus! ; Snoopy and Woodstock’s Great Adventure; Kick the Football, Charlie Brown! ; and Snoopy for President!